This market we welcome local author Casey L Adams, she will be doing some book readings of her childrens books for kids under 12. Our special guest is a Minecraft (look-a-like) doing a kids party at 11am. We have some fabuous performers, Josef Pitura-Riley returns, band A Grand Scheme makes is debut along with Felix and his ukulele’s from Penge. Plus our local market, street food and more. Never miss a market get on the mailing list. Bottons Family Funfair, face painting by Tiger Dragon Butterfly and sand art by KME Crafts. 11:00 – Minecraft (look-a-like) kids dance party. St George’s Church – local church that presides over Beckenham Green. Kent reared meats and cheese from Romney Marsh. Echos of Velvet Soaping Company – luscious soaps. Handmade wooden craft from Surrey trees. Chillimamas, handmade organic jams and chutneys made from her garden in Hayes, Kent. Two Girls In Stitches – Handmade children’s clothes in beautiful fabric. simplytrue – handmade Jewellery for adults and children. Mexican Gems – Mexican inspired jewellery. Daniels Fine Fruit Emporium – lush Kent berries. The above information correct at time of writing but may be subject to change.The above information correct at time of writing but may be subject to change. 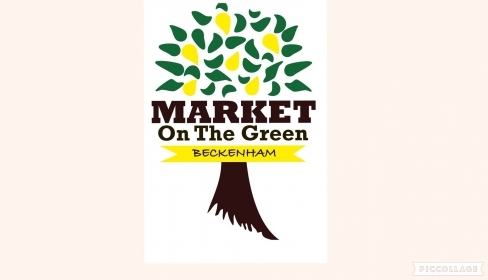 Market On The Green is a local produce and craft market organised by Copers Cope Area Residents’ Association with Kent food, live entertainment, arts & crafts and fun fair. The outdoor market is held 3 to 4 times a year on our pretty Beckenham Green (High Street, Beckenham BR3 5JG). Stall pitches are available to local produce suppliers, craft groups and artisans to promote and sell their wares and/or to provide interactive ‘have-a-go’ workshops/activities. Stallholders must provide their own gazebos/tables and have public liability insurance. Entertainment slots are available for local acts (bands, choirs, entertainers, dance troupes, theatre groups etc) to perform and promote their organisation. All enquiries by email to localmarket@coperscope.org.uk, subscribe to the Market On The Green Mailing List. Please Click Here to login or Click Here to register .